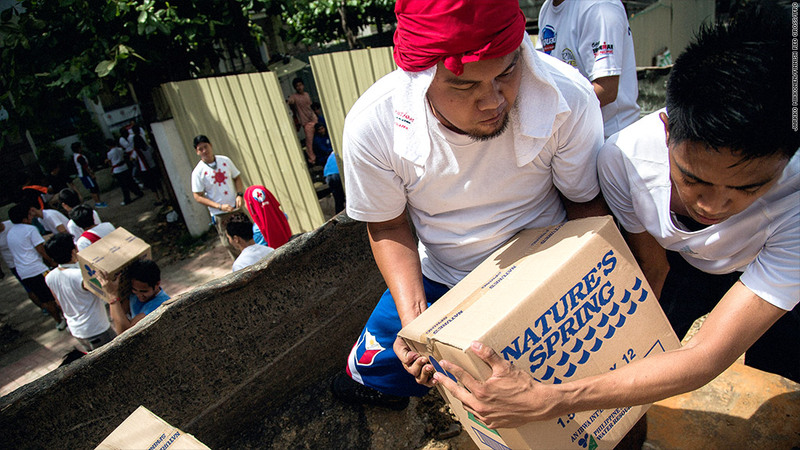 Red Cross volunteers help deliver emergency water supplies to typhoon victims. 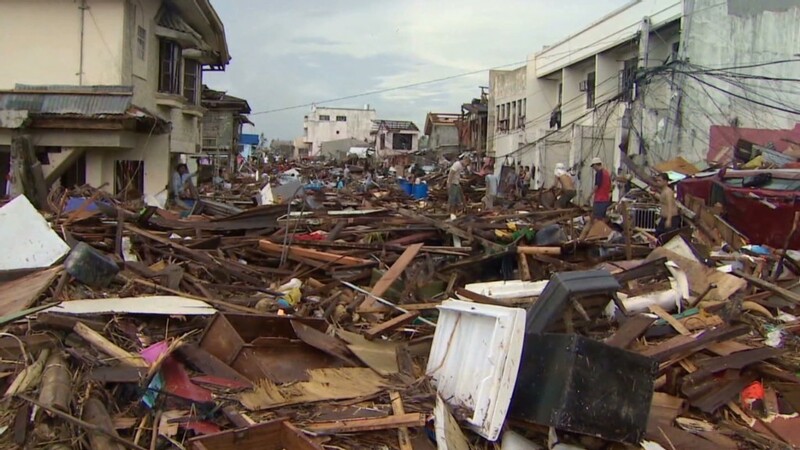 Americans have donated millions of dollars to relief efforts in the week since Typhoon Haiyan struck the Philippines. More than a dozen charities are raising funds to help victims of the storm, which left hundreds of thousands displaced from their homes and millions in need of basic necessities like food and water. International fundraising totals have yet to be released, but initial U.S. numbers show that more than $33 million has been raised so far. The American Red Cross said it had received $11 million from U.S. donors by Thursday morning, a figure that is likely to climb once donations received through iTunes and Facebook are tallied. "We are grateful for the American public's generosity and compassion following what has been called one of the strongest storms in world history," David Meltzer, chief international officer for the American Red Cross, said in a statement. The relief organization is working with the Philippine Red Cross and other agencies to transport relief supplies to the Philippines and provide disaster responders, he said. The United Nations Children's Fund, or UNICEF, said it had raised $4.7 million from U.S.-based donors by Thursday. The organization is aiming to raise more than $34 million to help the children and families affected by the disaster. World Vision said it had raised $6 million by the end of the day Friday. Save the Children, which has its own $30 million fundraising goal, said it had received $3.6 million in donations by Thursday, while AmeriCares said it had raised $1.5 million from mainly U.S. donors. The Salvation Army had taken in more than $1.3 million by Thursday morning. The International Rescue Committee's U.S. headquarters said it had raised $1.3 million by Friday from mainly U.S. donors. Doctors Without Borders said $2.5 million out of the $11.2 million it has raised so far has come from U.S. donors. Oxfam America said it had raised more than $1.9 million. According to Oxfam, an $80 donation can provide 100 emergency health kits, while $192 can provide temporary shelter for a family. "The coming days and weeks are critical," Michael Delaney, director of humanitarian response for Oxfam America, said in a statement. "Families are drinking contaminated water from wells. The threat of disease and malnutrition is high. The need for life-saving emergency aid is immense."